Because it's Friday and "one of those days" I am not really in the mood for a a 'traditional' post. My manager at work hipped me to this bunch of cuteness at www.theoutnet.com - that is about as 'put together' as I'm going to get for work AND play! Plus it makes me wanting to go shopping. right.now. 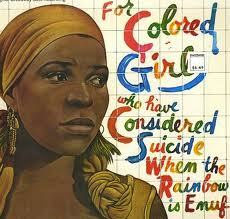 I saw the trailer for the new Tyler Perry movie "For Colored Girls" - it's been adapted from one of my all time favorite Tony award winning plays 'For Colored Girls who've considered Suicide When the Rainbow is Enuf' by Ntozake Shange. 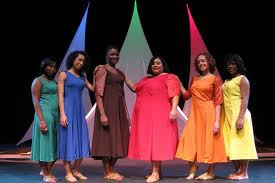 It is also starring some heavy hitters and boasts an all-star cast of black actresses, which includes Whoopi Goldberg, Phylicia Rashad, Janet Jackson, Anika Noni Rose, Kerry Washington, Thandie Newton, Kimberly Elise, Macy Gray, and Loretta Devine. I cannot wait to go see this movie. My mother took me to see the play as a young woman so I thought it only fitting to include her in my viewing of the movie. I want to plan an outing for all the 'colored' girls in our famdamily and go see it together so I'll keep you posted on that! I found these in the latest issue of Instyle Makeover ( the one w/ Jennifer Hudson on the cover) and I am in L-O-V-E. seriously so cute. definitely going on my wish list. Next month I will begin my class on makeup certification. Sounds funny huh since I've been doing makeup for the last decade but I was always self taught. Learning new techniques and styles from magazines and online tutorials and then practicing on friends & family. Along w/ taking the course comes a M.A.C Pro Card = 40% off. Suh-wheet! I can already see the look of confusion on Babe's face when I come home w/ yet another set of eye shadows.......heheehehhe. And I will be a certified makeup artist. watch out now! Ladies Night - I have been wanting to put one together for some time. but then there was that whole wedding thing happened and it got pushed aside. And now that we're back and every one's settled into their Fall routines I thought- "why not?" So I did. Sent out the Evite and everything. Unfortunately the party is not until November (boooooo) but that gives me more than enough time to get it all together and ensure we have a ridiculously good time! can't. wait. Is there anything that's rocking your world right now?